Welcome to our web site. If you are interested in our activities, please contact the Secretary. 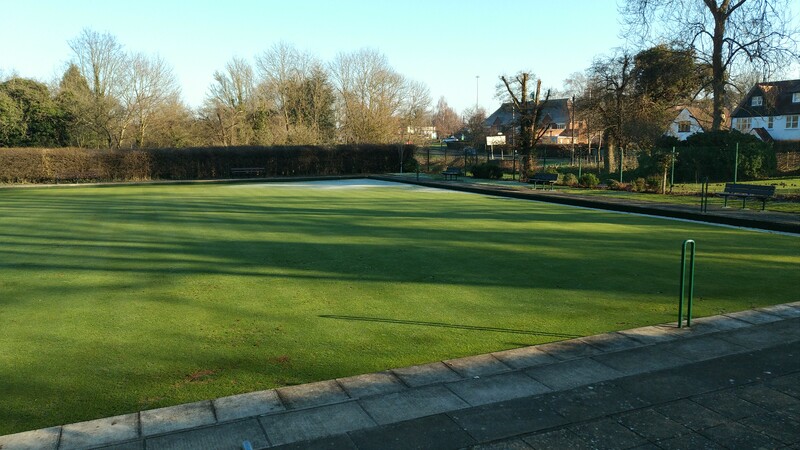 The club plays on the Lower Green at Norton Common, Letchworth Garden City, Hertfordshire. We cater for people who wish to bowl without the restrictions of serious competition. We are a friendly club and all members, whatever their bowling abilities, are given equal opportunities to play. Membership is subject to the approval of the committee. Anyone, experienced or novice, who wishes to join, should contact the secretary on 01462 635810 or email simontory@ntlworld.com. Well another year is upon us so the web site has been cleaned down ready for this years events. What's to come ? Well the AGM took place and the draws took place for this years competitions. I have updated the competitions page so you can all see who you are playing. The Green is open on Monday 22nd for our first bowl up. On Saturday there is a working party from 1000-1200. As many helpers as possible would be nice. Both Indoors and out ! I will be co-ordinating the event and hope you are all looking forward to our first Club fund raising event. The evening will be starting at 5:00pm. 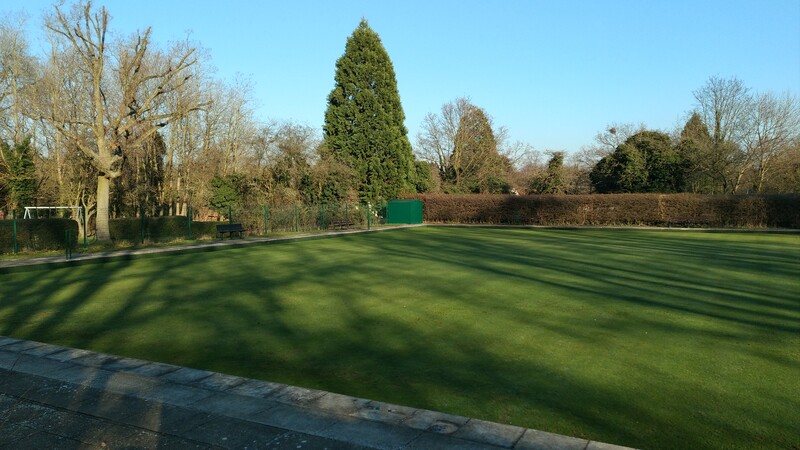 For those members who would like to take part in the bowls competition could you please “check-in” with me by 4:30pm latest in the clubhouse to enable a prompt start to the evening. I will be placing a notice for this event on our board in the clubhouse on Thursday 18th April. Please place your names on the list. It would also be a great help if you could Email me atrisebope@gmail.com to advise of your intention to play bowls, I will then have some idea of the numbers attending in advance. For those members without access to Email you can contact me on the number published in our club handbook. As on previous occasions a donation of £1.00 from “all” participants is required and this should be placed in “THE BEAR” which is located in the clubhouse. An additional £1.00 for Green Fees has to be paid by all Associate members who wish to take part. As on previous occasions I have ordered a warm, dry evening! I look forward to seeing you all and I hope that we all have an enjoyable evening. This year Lynne has again organised some coaching sessions. Last year they helped me a great deal so I will be going again. The dates are Monday 29th April and Monday May 20th, Both start at 1300. A notice is on the notice board, but as places are limited it will be first come , first served. For reasons that i cant remember the Fish and Chip Evening will now be held on Tuesday 13th August. Not the 2nd August. 20/04/19 1000-1200 Pre season Work on Green. 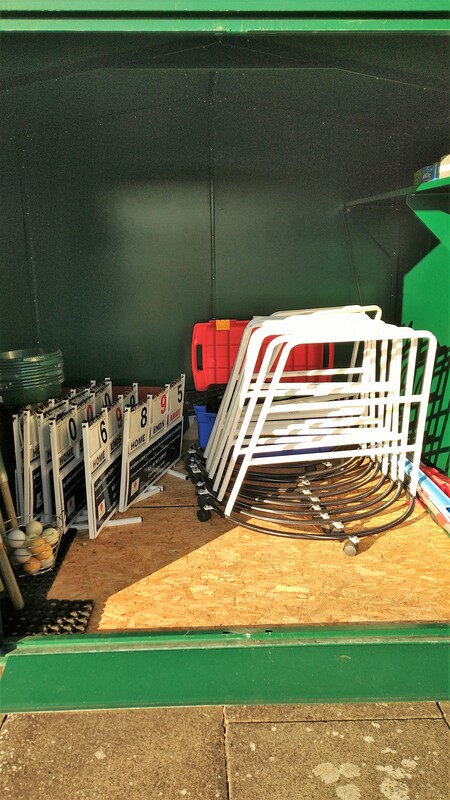 And a nice Tidy Shed !!!!! I have updated the fixtures for the year, There is a possibility of a few amendments needed but you can now plan your year ! If people want there result put on the website or a short report of a fixture then please email me at andrew.denniss@virgin.net or text me on 07818 664274. If you phone and I'm out I'm bound to forget !!!!!! On Saturday the 1st September this years Finals took Place. This Year Paul Riseborough was the organiser taking over from Basil Simpkins. Paul did an excellent job and continued the good work that Basil had done. Thanks Paul and helpers. Malcolm Summerville, Andy Denniss and Mike Jeffreys Beat Gill Davey, Chin Tory and Basil Simpkins. At the halfway stage Mikes Team led 15-4 but a great fight back from Basils team saw the score at 18 each going into the final end. It was the same as last year with the result going to the final end but in the end the luck fell Mikes team way and they won 21-18 but a great game..
Singles Brian Davey beat Mike Jeffreys 21-12. TEMBEY Andy Denniss beat Gill Davey 18-15. HAROLD HARDY Paul Riseborough beat Simon Tory 2-1. 2WOOD SINGLES Guy Osborne beat Pete Moss 7-5. TRIPLES Chin Tory, Linda Clark and Roger Douglas beat Andy Denniss, Ben Rawlings and Basil Simpkins 16 shots to 15. The closest game ever, won with the last wood.